Amy and Brandon’s Big Lake Vow Renewal was one of the most rewarding events we have ever photographed. To be perfectly honest, we’ve never actually done a “vow renewal” before, so we weren’t exactly sure what to expect. We figured it would be similar to a wedding and we’ve shot so many of those, we thought it would be somewhat the same….and it was. But it was also different than a traditional wedding and so much more! What we didn’t expect is how intimate, special, and emotional the entire day would be. The entire event was held at Amy’s Aunt’s family waterfront home on Big Lake. To say it had stunning views would be an understatement. It was perfect, the weather was beautiful and the house had a lot of space on the big lawn for the ceremony and celebration afterwards. The décor was relaxed and bright and the entire atmosphere of the day was family focused. Hart’s floral provided bunches of flowers which Amy’s “tribe” made into floral arrangements and Schuh Farms donated Amy’s bouquet. What was different than most events we’ve done in the past is that our couple, Amy and Brandon, have been married for over 15 years. Amy and Brandon explained to us and the entire group at the vow renewal that the marriage up until now hasn’t always been easy. As anyone who has been married will tell you, marriage can have rough patches. As they traveled through the tough times, they realized they truly were meant for each other and so Amy and Brandon decided that they wanted a vow renewal to show each other, their family and friends and God the commitment they made to each other 15 years earlier. They also surprised the guests by having a family baptism in Big Lake that included their 3 children. As photographers, we often get to see firsthand the joy and happiness of couples as they say “I do”. This day took us totally off-guard. To see the emotions, the joy and happiness of this family, recommitting to each other and then becoming baptized in Christ as a family was truly a special treat. For us, this day was one of the most intimate and special events we’ve ever had the opportunity to photograph. We feel so privileged and honored to have been able to document it. We hope you enjoy these photos as much as we enjoyed photographing them. Amy and Brandon ~ we couldn’t be happier for the both of you and wish you many, many more years of happy and blessed marriage together. Love this and love them! These photos captured some of the most special and beautiful moments of the day. Reliving it is making me teary all over again! Great pictures of a wonderful family!! Many more years of happiness coming your way. Amazing!! Wish we could ah e been there. And great photos like always!! Love this and how you celebrated the tough times instead of lettimg it define the marriage. beauitful to have a family bapitized together. You two are amazing role models to your boys and so many others that see your love. Amazing pictures of an AMAZING couple. Great photos! Such a wonderful family! So beautiful! It seriously makes me want to do a renewal. Absolutely beautiful pictures of such an amazing family. Looks like you captured the most important parts of the event. What an absolutely beautiful day, beautiful family! These are beautiful! So sad we had to miss the special day. Thank you Mistry & Scott for capturing the evening so beautifully!  Scott and Mistry are amazing and professional photographers that felt like a part of the family. Perfect photos! What a beautiful family and a beautiful day! You can see and feel the love that you share in these amazing photos! Love you all so much!!! I am part of the tribe, and this blog post made me cry!!! It was an I credibly special day, and you guys captured it AMAZINGLY!!!!!! These pictures are STUNNING! Bravo! Absolutely stunning – and what a precious collection of moments to capture and hold for always!! Lovely! What a beautiful tribute to a special day. these photos were the most beautiful I have seen of this family. we are so sorry we missed seeing our grandkids and great grandsons baptized. we have watched amy and brandon grow closer as they travel this journey together . we love you two very much.